Those feelings come from your intuition. Intuition is the ability to understand something immediately, without the need for conscious reasoning. It’s an instinctive feeling. At the time, you just have a feeling and may not be sure why you have it or where it’s coming from. Sometimes it’s not logical and may go against what our logical mind thinks or wants to do. These thoughts or feelings in our body (especially in our gut) are the intuition’s way of communicating with us. I remember one time when my intuition actually saved my life. I was driving home from my part-time job in high school. It was very dark night on a two-lane country road in rural Montana and I was tired after a long shift at the Drive-In restaurant where I worked after school. I saw car lights from a semi-truck coming towards me in the distance. In my mind, I saw a brief image of a car darting out from behind the semi to pass in my lane. I began to slow almost to a stop, and it was a good thing I did. At a high speed, a tiny sports car did indeed dart around the semi into my lane without warning. If I hadn’t listened to that feeling and believed the image in my mind, we would have very likely gotten into an accident. It was still close enough to make my heart rate increase and my body to tense up but I was safe. When we’re connected to our intuition, it can protect us from danger (including dangerous people), and lets us know when we’re going in the right direction with our lives. Our intuition taps into knowledge from the body, the brain, and also from our “higher self” or inner wisdom. It gives us that feeling of inner “knowing” and allows us to be more confident about our choices in life – that is, when we listen to it. Once your connected to your intuition, learning to trust it is also important. How many times have you gotten that sinking feeling in your gut that you shouldn’t do something and you did it anyway only to regret it later? We all have our own examples. But, we can learn how to partner with our intuition and allow us to serve as a guide for reaching our highest potential. Starting a regular meditation practice helps clear the mind and connects the mind with the body and our spirit. Meditation allows space for our intuition to enter. Even a few minutes of meditation each day makes a big difference. I like to use the app Buddify when I wake up as part of my morning routine. The Buddify app has meditations for where you and what you are doing. They are short and easy to follow but very effective. Inhale through the right nostril, close with the thumb, release the ring finger from the left side and exhale through the left nostril. This is one round of Alternate Nostril Breath. A daily writing practice helps clear the mind, helps us be more creative, and opens us up to our intuition. Keeping a journal is a great way to get started. One of my favorite writing practices is called Morning Pages from Julia Cameron in her book, “The Artist’s Way at Work.” Morning pages are three pages of longhand writing first thing in the morning. Just write down anything that comes to mind without trying to organize it or overthink it. When you’ve finished your three pages, stop for the day. There is something magical about three pages, it’s enough to engage our creativity but not so much that you get lost in introspection. Your writing may even be your “to-do” list for the day but it clears your mind and allows you to relax and focus. Our dreams often hold important signs and symbols that can help us on our journey. Becoming aware of your dreams and interpreting them can help you improve your intuition. One way to do this is to keep a dream journal next to your bed. As soon as you wake up, record your dreams and any images or symbols that move you. Then, look up the meanings. There are many great websites for dream interpretation, or you can get a book. I like The Dream Intrepretation. Allow yourself to be creative – painting, making music, singing, or creating your favorite form of art are all great ways to connect with our intuition. When we are creating, our mind quiets and allows intuition the opportunity to come in. Plus, creating is fun and is good for our mindset. If you’re not an artist, you can even just pick up some crayons, colored pencils, or your favorite markers and color. I LOVE the Johanna Basford coloring books like Secret Garden: An Inky Treasure Hunt and Coloring Book. I’ve already colored all the pages in mine and am starting on her ocean book. Another way to create is to make Five-Minute Art. This is something you can do anytime you feel stuck. Just take five minutes and make art about how you are feeling. Write a poem, draw a picture, sing a song, do a dance, or make something crafty. Don’t worry about whether the art is good or not, the point is to enjoy the process and express and release the emotion. Set a timer, have fun, and let go. The Aroma Freedom Technique is one of the most effective ways of clearing our minds of negative self-talk, doubts, and memories. It helps us become radiant and connected with our intuition and higher guidance. I’ve been using it myself several times per week since March and have noticed a significant improvement in my confidence and ability to focus. I’ve also seen immediate and significant breakthroughs with my clients. This process is especially effective because it utilizes the power of scent and our amazing sense of smell to “interrupt” negative thoughts and emotions and replace them with a powerful affirmation. 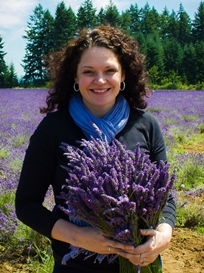 Learn more about Aroma Freedom. Our intuition is a gift that reminds us we are never alone. We just need to turn inward and listen for guidance and support in navigating life’s challenges. 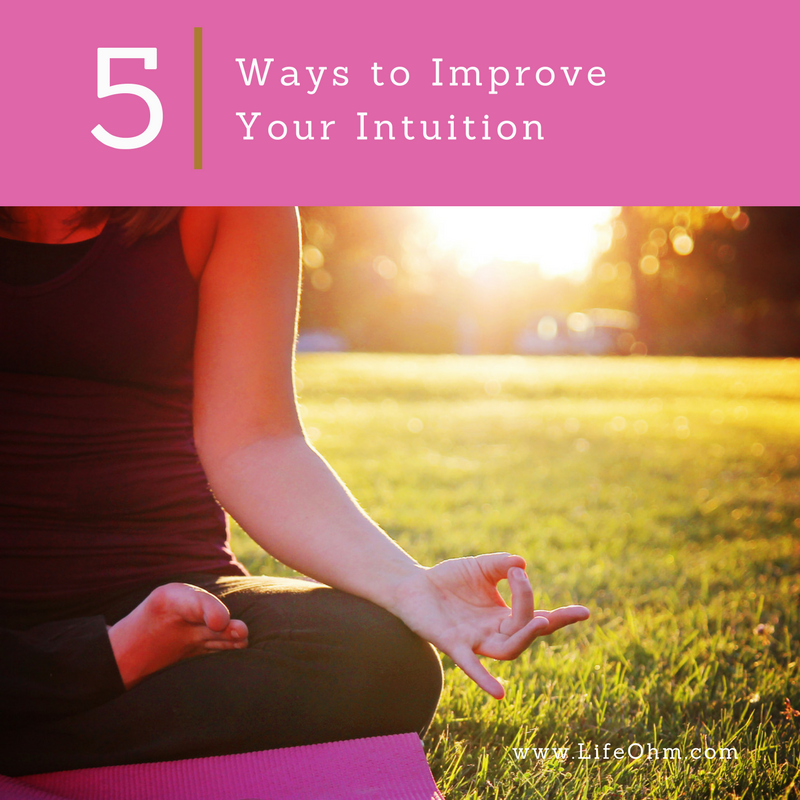 How do you connect with your intuition? Do you have any experiences either listening (or not listening) to your intuition? Share your thoughts and stories in the comments below. Agreed, so effective. Thank you for visiting my blog Jacqueline! I have a strong intuition which is sometimes cool, and sometimes because the thrill if the unknown is gone. Yeah, medidation, creating art, and sleep helps to have a strong intuition. I understand completely, sometimes surprises are good too! Thanks for visiting my blog Blair, so good to see you! I have never heard of aroma freedom. Very interesting. I love that you included a quote from Dean Koontz he is one of my favorite fiction authors. I use most of these methods in my life. However, the aroma freedom method is completely new to me. I’m on my way to read up on it. Sounds very interesting. I have been meditating almost regularly for the last 1 year and thus can relate to what you said here. Meditation does improve the intuition. Writing is the best way for me to take all my emotions out and feel relaxed.Lovely post btw.